My Monday posts should really be called Sunday suppers because that is what I'm usually sharing. More often than not, these days, the weeknights are a blur of pieced together dinners. It is so nice to begin the week with a meal to be savored and this one was. 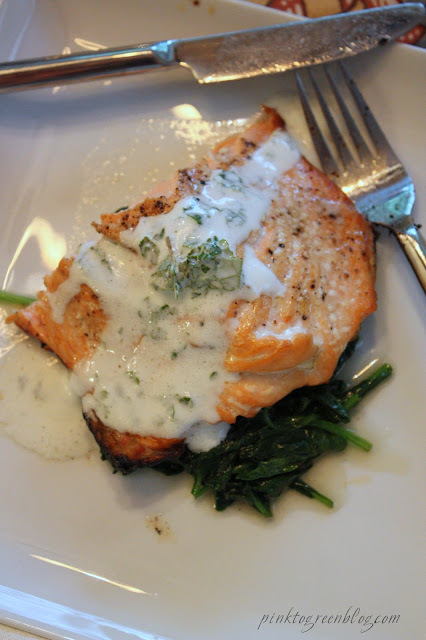 Grilled salmon on a bed of sauteed greens all topped with an incredible fresh herb sauce. 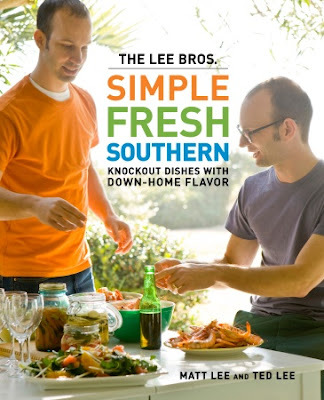 I adapted the recipe from from Simple Fresh Southern and I can't wait to try many more from the Lee Bros.
-Combine mint, buttermilk, creme fraiche, and 1/2 tsp salt in food processor. Pulse until thoroughly combined. -Meanwhile, wilt some leafy greens over a hot skillet and some evoo. I used spinach, but this could also be great with swiss chard.